A comprehensive analysis of global patterns in leaf size offers an answer to one of the longest-standing questions in plant ecology – why plant leaf size increases at lower latitudes — scientists now report. Their findings could influence "'next-generation" vegetation models where leaf temperature and water use during photosynthesis play key roles. 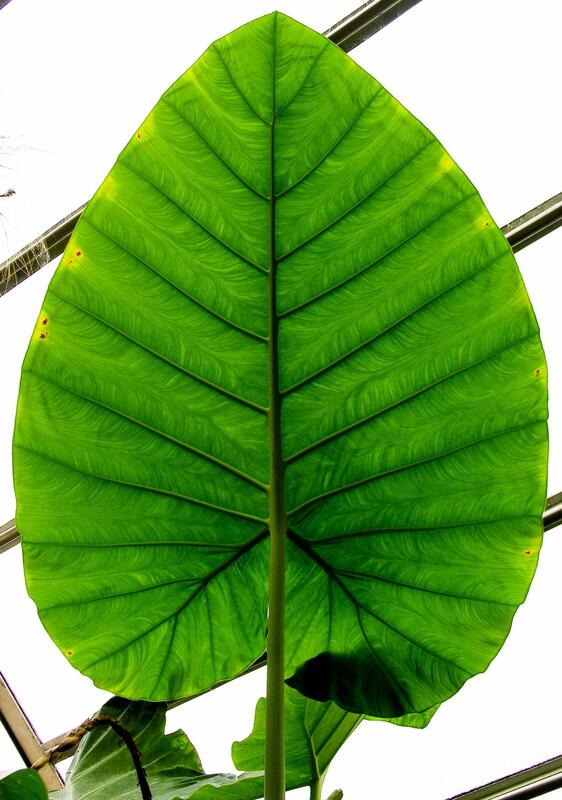 Leaf size is highly variable, and differs by over 100,000-fold among species worldwide. While it is well-established that tropical environments close to the equator are home to many large-leafed plant species, the "latitudinal gradient" observed in maximum leaf size (a pattern identified in the late 19th century) has not been well quantified, and the underlying climatic drivers are poorly understood. What's more, leaf energy balance models have proposed considerable disadvantages for plants with massive leaves in hot and dry climates, but were not able to reconcile the clear evolutionary success of plants residing in the tropics. Here, Ian Wright and colleagues studied leaf patterns in 7,670 species from 682 sites around the world, to better understand how predictions from the energy balance models (which account for fluxes of energy between leaves and their surroundings) were supported only in certain regions of the globe. The researchers developed a simplified model that revealed changes in daytime versus nighttime leaf-to-air temperatures were important determinants of geographic gradients in leaf size. The authors say their results shed new light on expected responses to changing climate that can be exploited for predictive modeling, and hint that leaf size has critical impacts on ecosystem functioning, both through effects on water and carbon fluxes.